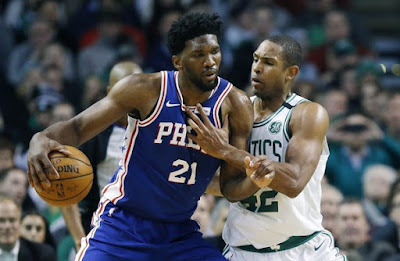 Until quite recently in the history of NBA standards and practices, a team could receive preferential seeding by virtue of winning its Division – a guarantee of no lower than a third (later fourth) seed regardless to its record. On such a “playing field,” this year’s Celtics would stand fifth and be matched up with either Philly or Orlando in Round One. 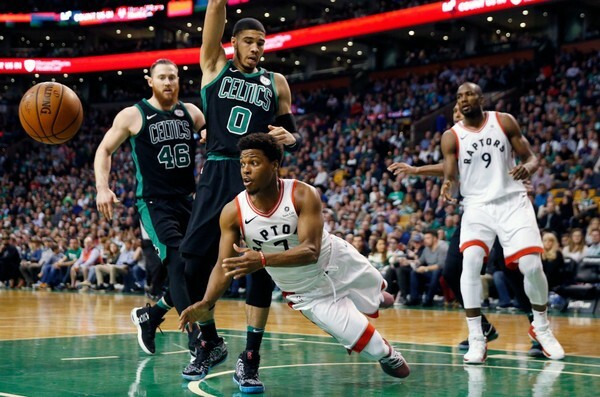 Boston has been most inclined to step up to these challenges at home, where they boast a 7 – 1 slate. The Bucks and Raps have each lost twice on home turf, the Sixers and Pacers four times. Unfortunately for Brad’s Boys, they are likely to enjoy a homecourt edge for only one round of play – and they’ve dropped five of seven road tilts against the Elite. Only the 60-win Bucks stand above .500 on the road at 5 – 2, while first-round opponent Indiana has just one road triumph (over Philly). In their 15 games, the C’s outscored the “Elites” 1,677 – 1,633 (essentially three points per game). Though opponents hold a slight advantage in Total Converted Possessions (752 – 745), the Celtics have earned 142 “stripes” (194 3FG’s minus 52 missed FT’s) to just 70 (166 – 96) for the other guys. Boston has shot more accurately overall (.455 - .442) and from distance (.372 - .351); committed 26 fewer TO’s and yielded 22 fewer points following TO’s; and (when we include “Live-Ball Team Rebounds”) been outperformed on the glass by just 26 Total Rebounds and a mere 14 Follow-Up Points (less than one per game). In the seven Q1’s Brad’s Beasts have played on the road, they’ve very impressively limited the opposition to just .384 overall FG shooting (.271 behind the stripe), out-rebounded them by six, outscored them in both TO and F-U points, and allowed them to convert but 43% of their possessions. On the other hand, in 15 overall Q3’s against these foes, opponents converted 54% of their possessions while shooting .406 from three-point land (an inexcusable .421 on parquet). Looks to me like “Maintaining Early Momentum” may be Coach Stevens’s biggest challenge in a post-season that will require more than a little “Road Swag” to live up to 2019’s high expectations.